Does your child need more tools to further enhance his/her creativity? Giving your them this deluxe stamper kit will help develop their skills more! With more stamp marker designs to choose from, they’ll be one step closer in becoming the next Michelangelo! Recommended for Ages 5+. Bring out the talent in children by letting them be creative with this Hello Kitty Stamper Kit! The wide variety of colorful stamps will provide hours of creative game play for everyone! Also great for kittyfying plain stationery. Recommended for ages 5+. 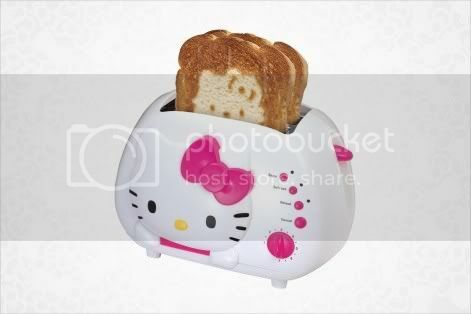 Make a yummy Hello Kitty toast with this wonderfully-crafted Hello Kitty Toaster! The machine has a cool exterior, bearing Hello Kitty’s face and her traditional pink and white colors. There are 7 levels in adjusting the toasting shades, making it the perfect toaster for slices and bagels alike. The crumb tray is also removable for easier cleaning. Oh and did we mention that it will make a cute Hello Kitty design on every slice it toasts? Hello Kitty teamed up with Santa in giving cool gifts this Christmas! Sanrio sure has a treat for all of you Hello Kitty lovers out there. 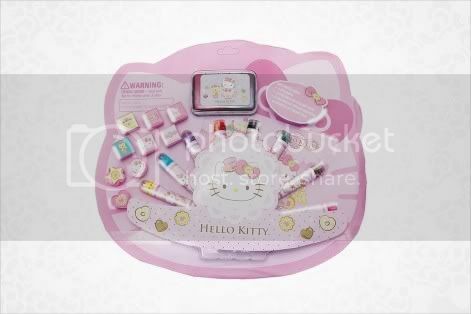 Check out this neat gift basket filled with Hello Kitty goodness! 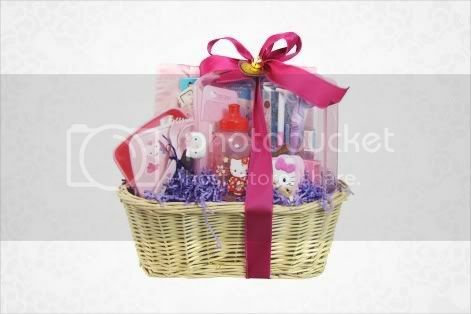 The gift items are beautifully arranged in a basket, adorned with a pink ribbon, a gold bell and cute trinkets. Check out the site for more exclusive character gift baskets! 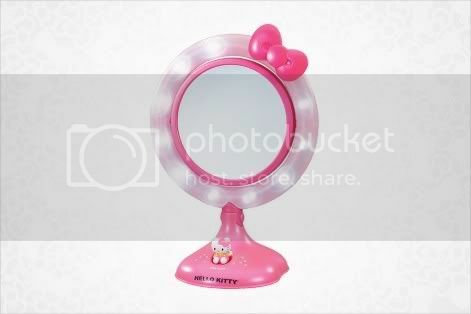 Style yourself everyday using this chic Hello Kitty Mirror! This kittified mirror has two sides, giving you a regular and magnified view. It also has good lighting, having 12 lights surrounding the frame, making it a perfect make-up mirror! There’s also a cute hello kitty figure at the bottom that acts as an on/off switch for the lights.